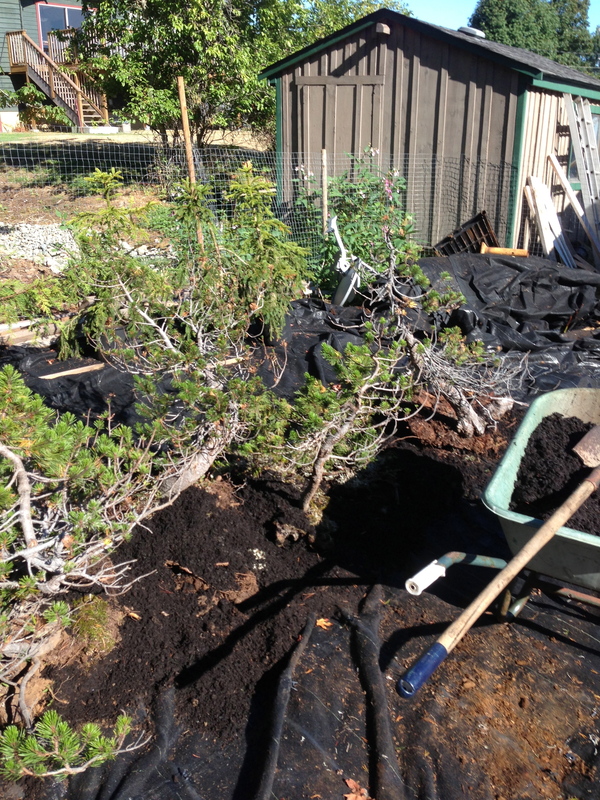 I use a layer of fish compost (fir bark composted with fish offal) which has an NPK of 1-1-1 but is always at 1-1-1 due to aerobic bacteria breaking down the carbon in the mulch. 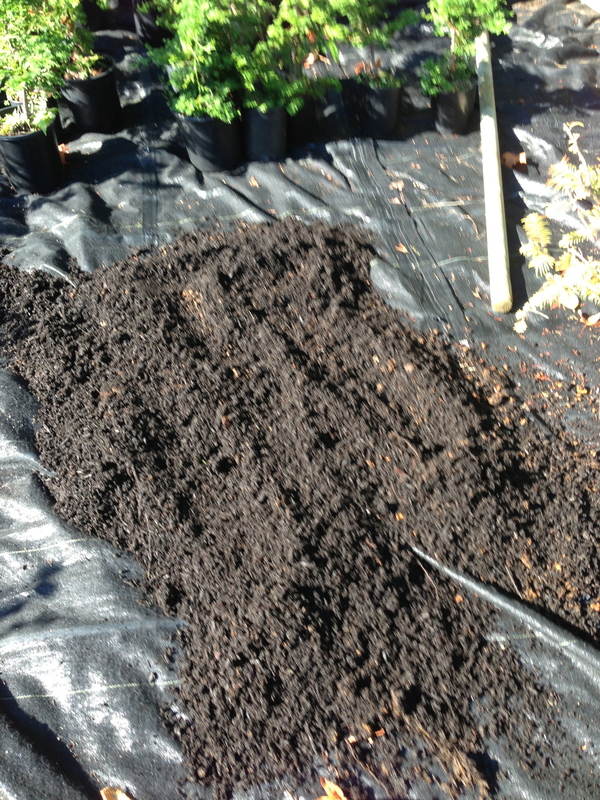 The mulch also contains available iron, calcium and other micro elements. 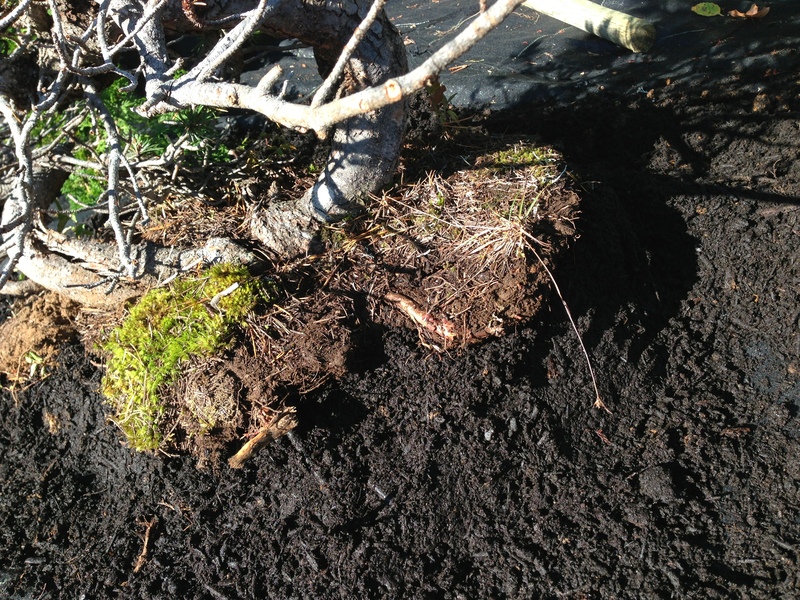 I put down a ground cloth that is permeable first and then add the compost then place the newly collected tree on top of the mulch. 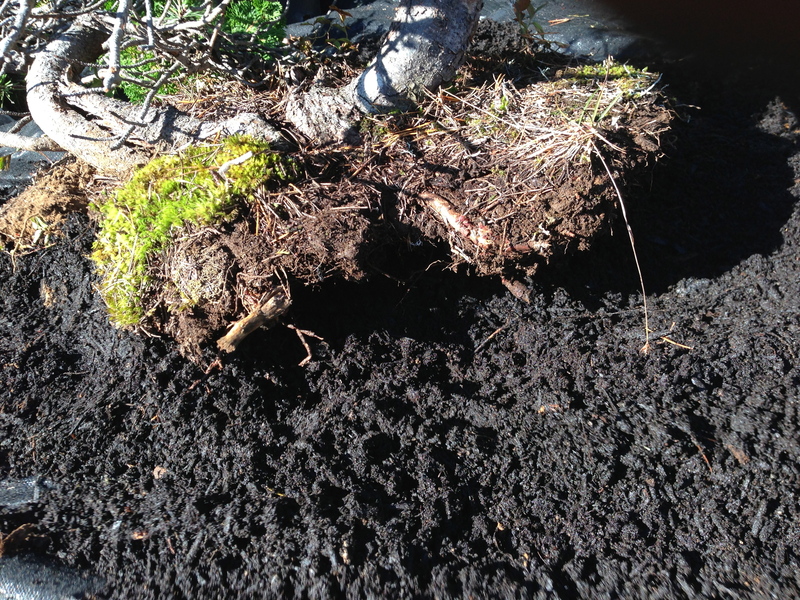 I twist the rootball into the mulch to help remove any air pockets. 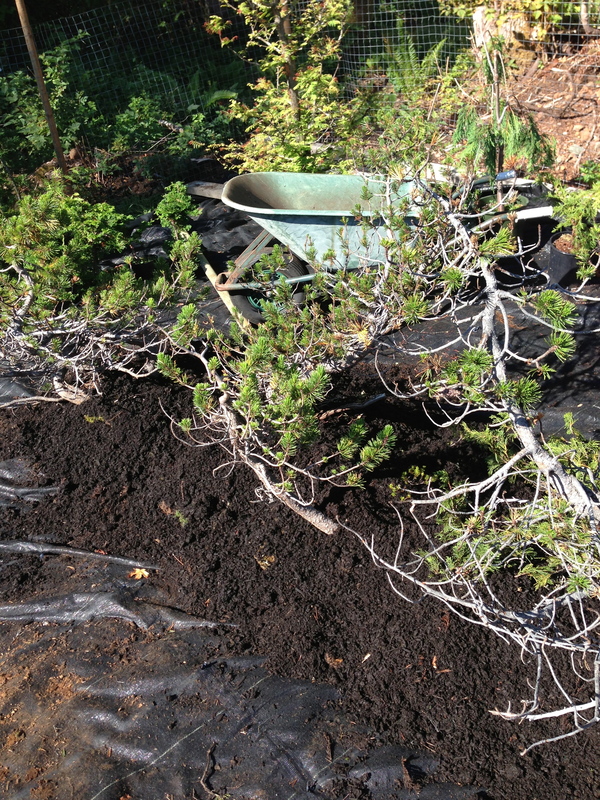 Adding mulch along the sides and placing 2 to 3 inches on the top of the trees. Interesting. This is certainly less work than how I nurse my collected trees (I put them in pure perlite in wooden boxes). But I also probably collect much fewer trees than you! 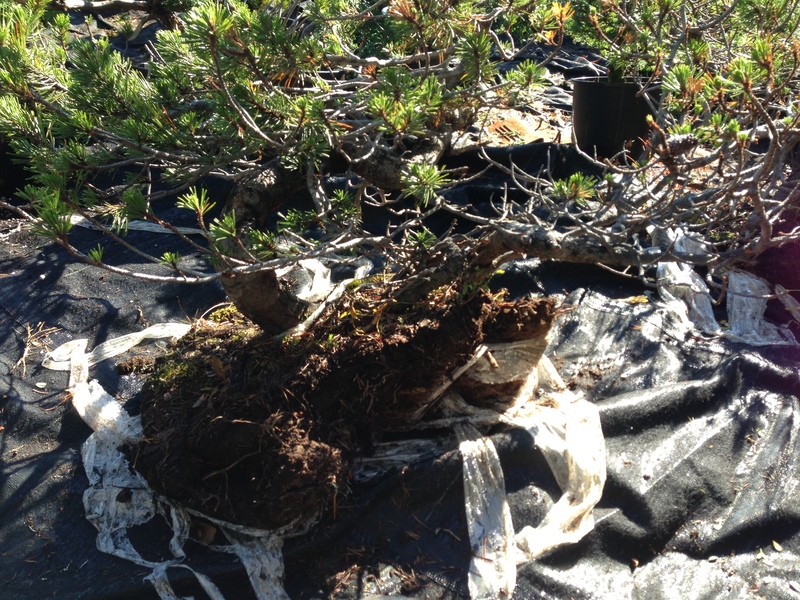 I hope you start posting your yamadori for sale online one day! I would love a nice collected shore pine (I hear they do pretty well in my climate).